Katra Town, lying in the foot of Trikuta Mountains the distance between Jammu and Katra is approximately 52 km. Ordinary and luxury buses are available from Jammu to Katra at a frequency of 10-15 minutes. While ordinary buses can be boarded from the State Road Transport Bus Stand around 1 km from Jammu Railway Station, luxury buses are available from just outside the Railway Station. It takes around 2 hours to cover the 50 km stretch from Jammu to Katra. The terrain is hilly and winding and passengers often experience nausea and vomiting. Private Taxies for Katra are available from the Jammu Tawi Railway Station and Jammu Airport or you call Online Holidays for best services. Many operators also offer taxies on a per seat basis. As with many other tourist destinations, it is not uncommon for passengers to be accosted at the Airport or the Railway station by taxi drivers. It is advisable to check the officially approved rate (the same is subject to periodic revisions) and insist on paying only the approved rate. A taxi would normally take 70-80 minutes to reach Katra from Jammu.There are many places of tourist and religious importance around Katra also. The devotees coming for the darshans of the deity can club their pilgrimage with a visit to these places. Specially during the rush time when there is a lot of rush at Katra and Yatries have to wait for some time before being allowed to proceed to Bhawan, they can utilize their time by a visit to these places. 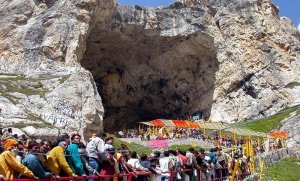 The cave shrine of Mata Vasihnodevi or Trikuta Bhagwati (alt: 5,200 ft.) has been a beacon of faith and fulfilment to millions of devotees from all over the world. The pilgrimage to the Shrine holds great significance for the pilgrims. From here a trek of around 12 kms takes a pilgrim to the Holy Shrine. One can undertake this trek on foot or on horses/ponies or on palanquins (palkies or dolies). While most of the pilgrims prefer to go on foot, some who find it difficult to negotiate the climb hire a pony or a palanquin. Shivkhori- the Holy Cave abode of Lord Shiva is situated around 70 Kms from Katra Shivkhori is also highsest number of vistors after vaishnodevi temple. The cave is a real wonder to be seen and measures nearly half a kilometer in length with a 4 feet high naturally formed Shiv-lingam at the heart of the Sanctum Sanctorum. The cave is in the shape of Lord Shiva's Damroo i.e. wide at the two ends while very congested at the center. The width of the cave is so less at certain place that a person can barely crawl through whereas at places it over a hundred feet wide and quite high too. There are a lots of features which can be observed in the cave, however the best of them is the natural milky water dripping from the top to the Shiv-Ling symbolizing the eternity of the holy river Ganga. The place hosts a major fair on Shivratri. The Shiv-Khori Shrine is well connected to Katra / Jammu by road you can hire a taxi from local tour operator reg with jk Tourism our suggestion is Online Holidays srinagar or local taxi stand. Baba Aghar Jitto a spiritual devotee of Shri Mata Vaishno Devi. A farmer sacrified his life for getting due right share of agriculture crop from Jagirdar Bir Singh who denied to give the committed share. This is why he scarified his life for getting his right & became famous among the farmers, have a attraction for yatries also. The statue of Baba Jitto is situate near road side in the lap of Shri Mata Vaishno Devi. This place is also source of attraction for the pilgrims from all over the country. On this spot Baba Jitto statue has been constructed and natural source of water is really the centre of attraction. Around 700 years back ,The legend goes Mata Vaishnavi revealed Herself to Pandit Shridhar at a place now known as Bhoomika Mandir (Temple). 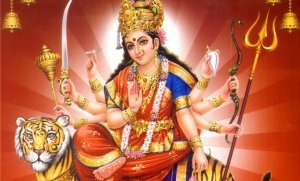 The term Bhoomika means an introduction, as in a book or story, and Dharshans at this place thus symbolically imply the beginning of this great tale of Shri Mata Vaishno Devi Ji. Darshans at Bhoomika Mandir are in the form of Idol of Mata Vaishno Devi along with another idol of the Mother Goddess. There are also Darshans of a Shivling in a nearby Shiv Temple. Bhoomika Temple is approx.700 meters from Railway Station Katra. This Temple of Lord Shiva is located at a distance of about 15 Kms. from Katra on way to Salal Dam. Here, a huge spring emerges from the rocks in a thick grove of trees and forms a number of small cascading waterfalls before ultimately flowing into the Holy rivulet that merges with the Chenab River. There is a naturally formed Shivling on which droplets of water fall at a constant pace all the year round. A big fair is held here during Shivratri. For the facility of the yatris visiting the place, the Shrine Board has carried out some developments including the construction of a Dharamshalla. Around 05 Km before Katra a diversion of 3.5 km lead to Deva Mai, traditionally considered to be the second Darshan on the yatra of Shri Mata Vaishno Devi Ji. That while Shri Mata Vaishno Devi Ji has her abode in the Trikuta Mountain since Treta Yug that she stayed at Deva Mai in the form of a small girl and completed her Tapasya here. The Divine Mother is believed to have stayed at this place for a period of 110 years in the form of a small girl child and observed various spiritual disciplines, while also granting booms to all those who visited her to pay their obeisance. When her tapasya was complete, She is said to have converted herself into a idol form in front of her devotees and since then the same idol is worshipped here. One needs to carry heavy woollen clothing during the winters (Oct -March). For the rest of the year, light woollens are needed. Even during hot summers, when the base camp Katra too turns hot and humid the main Shrine area known as Bhawan continues to remain on the cooler side especially in the nights. Blankets are available aplenty free of cost and there is no need to carry them. One may also need canvas shoes for the Yatra Sports shoes is best option a walking stick is very helpful in negotiating the steep climbs. Umbrellas and rain coats are required during the rainy seasons. Shoes, cameras, walking sticks, torches, head bands, umbrellas and many more such articles for which a person may not be prepared beforehand are readily available on hire at various private shops all over Katra and also on the way to Holy Shrine. Rates as usual are negotiable. However, the quality of the some of them may not be very good and hence the pilgrims may need to check carefully the same before hiring or purchasing anything in Katra. Q: Is there any Direct Buses. Q: Is this area is restricted . A: Online Holidays Reg. Jammu Kashmir Tour OPerater Kashmir. Q: Is there any train services for Katra. A: Yes from Jammu, Delhi, Mumbai and many parts of india. 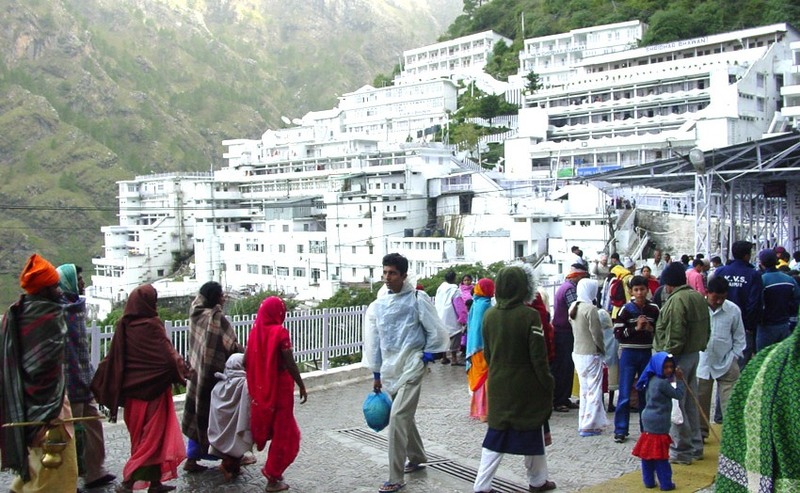 The Yatra to the Holy Shrine of Mata Vaishno Devi Ji is open throughout the year. The summer months of May, June and July and the festival period of Chaitra (spring) and Sharad-Ashwin (Autumn) Navratras and New Year vacations witness peak rush. As a result of this rush, devotees have to often wait for 12-20 hours before having Darshan. It is therefore strongly adviced, that for comfortable, quick and satisfying Darshan, the period of peak rush must be avoided. Instead the monsoons and winters are good periods to plan a yatra. During the monsoons, Nature is at its scenic best with water falls and lush green surroundings. The winter months of December and January witness snow fall and barring the very young and the physically infirm, it can prove to be a charming season for others to visit the Shrine. 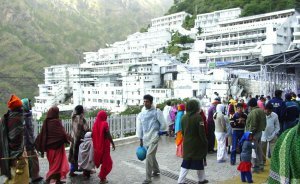 The original Holy Cave of Shri Mata Vaishno Devi Ji is also open during the winters and Darshans through this cave is a unique mystical experience. A thumb rule to plan one's journey is to log on to this website and check out the pattern and number of pilgrims visiting the Holy Shrine. If the average number of pilgrims during a period is less than 15,000-18,000 on any given day, one can expect a comfortable trip and a satisfying Darshan of the Holy Pindies..
(Oct to March) are chilly with temperature goes down to subzero levels. Snow bound landscapes are the typical views in winters and snowfall is common. (April to October Mid) are bit warm and pleasant with cool atmosphere and climate. Average temperature is around 20°C. Summers is ideal for sightseeing, adventures and pilgrimage. Snow can be found on high altitudes. (Aug to September) is not very vigorous but the hilly rugged terrains can become slippery. It is challenging to take up trekking through the curved and caved paths.